Nora Aljarallah ’15, who grew up in Saudi Arabia, enrolled at Hofstra Law with a purpose: become a lawyer to defend the rights of Saudi women. After excelling in the LL.M. Program at Hofstra Law, Aljarallah has decided to continue her legal education at Indiana University in its Doctor of Juridical Science (S.J.D.) so that she can return to Saudi Arabia with all the tools necessary to fight for abused women. Why did you decide to pursue an LL.M. at Hofstra Law? I decided to complete my master’s degree in law at Hofstra Law because it was a great chance for me to become a lawyer. Doing the LL.M. 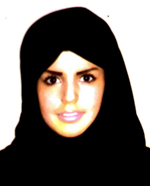 degree was my first step to start preparing my plan to defend Saudi women’s rights. What were you doing before enrolling at Hofstra Law? I studied English for a year and a half. Before my intensive English language studies, I completed my bachelor’s degree in Islamic studies. Why did you choose to continue your studies? My ambition has no limits or end. Even though I’ve faced hard circumstances, I decided to start writing my proposal in order to get final admission for fall 2015. In Saudi Arabia, the universities do not offer women the opportunity to obtain a Ph.D. in law. Saudi Arabia will recognize my S.J.D. from an American law school, however. I see this as my only opportunity to get the highest degree. I seek this degree because I believe education, and most particularly legal education, is a weapon to fight for abused women in Saudi Arabia. How did you choose your dissertation topic? When I was in Saudi Arabia, I saw firsthand, and I also heard a lot of stories about, how men exploit and abuse their powers against their wives or sisters. I chose my dissertation topic, “Women’s Human Rights, What the U.N. Says, What Islam Says,” to explain how these two institutions protect women by adopting women’s rights and by outlawing violations of women’s rights. My studies are not just for me. I am doing this work to demand for Saudi women their rights and to protect them from the violation of their rights. I know that I have a difficult task, but it is not impossible to achieve it because I feel I am responsible for each abused woman. What has your initial investigation shown? The judges in Saudi Arabia delay the judgment in these cases without any justifiable reasons. From my initial analysis, I have learned three key reasons why Saudi judges have been able to ignore women’s rights. 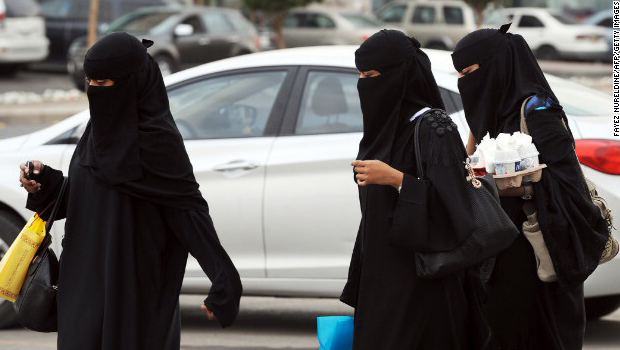 First, women cannot defend clients in Saudi Arabian courts. Second, Saudi lawyers have never challenged the legality of denying women the right to work as trial lawyers. They have not demanded any changes to this situation! Third, we do not have brave Saudi lawyers, with good legal education. Without the strength from deep legal knowledge, Saudi lawyers cannot be ready to stand in front of the judge and defend abused women’s rights. What is your goal for when you return to Saudi Arabia? I hope to be able to attain my goals to help and protect all women, not just in Saudi Arabia, but around the world. I plan to use my legal knowledge in every way possible to achieve this goal. I hope to represent women myself, teach Saudi lawyers to defend women’s rights, and research and write about women’s rights for the rest of my life.